In appreciation for his many contributions to the growing deep carbon science community, DCO recognized Nikolay Sobolev at the Second DCO International Science Meeting. 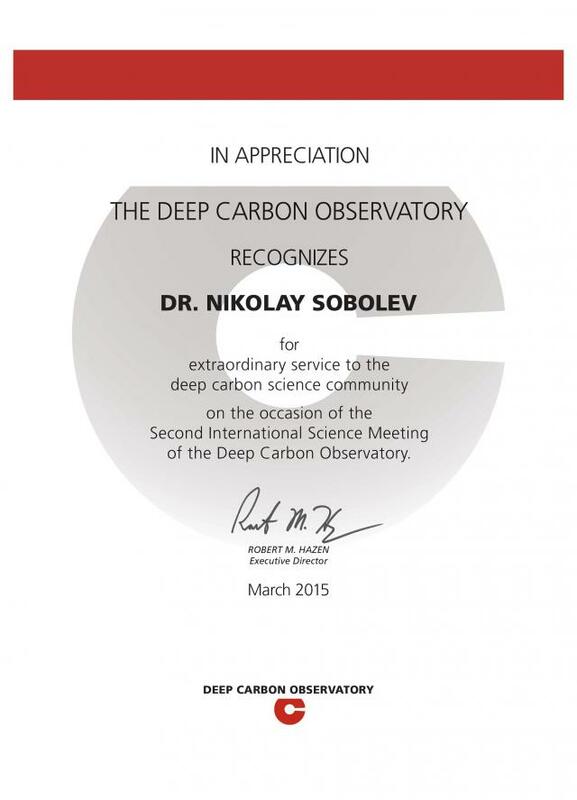 In appreciation for his many contributions to the growing deep carbon science community, DCO recognized Nikolay Sobolev at the Second DCO International Science Meeting in Munich, March 2015. 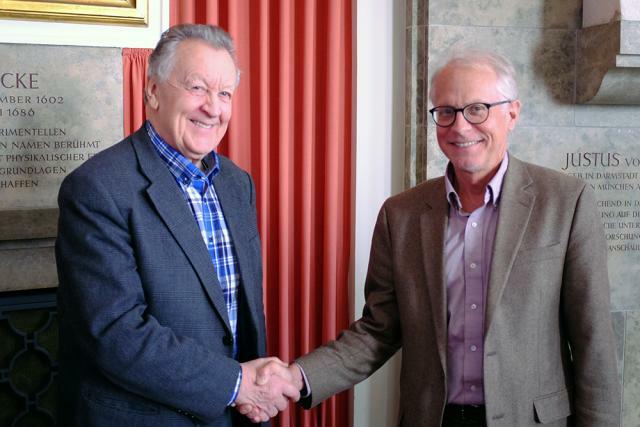 The award was presented to Dr. Sobolev (left) by DCO Co-Executive Director Russell Hemley (right), pictured below. Dr. Sobolev's contributions to DCO include organizing a symposium on the “Deep Carbon Cycle: Mineralogy and Crystal Chemistry of Carbon-Bearing Compounds” held as part of the Third International Conference on Crystallogenesis and Mineralogy in Novosibirsk, Russia, from 27 September to 1 October 2013 and serving as lead editor of the a special issue of Russian Geology and Geophysics with 26 papers on "Crystallogenesis and Mineralogy: Link to Deep Carbon Cycle." He is also a member of the DCO Executive Committee.